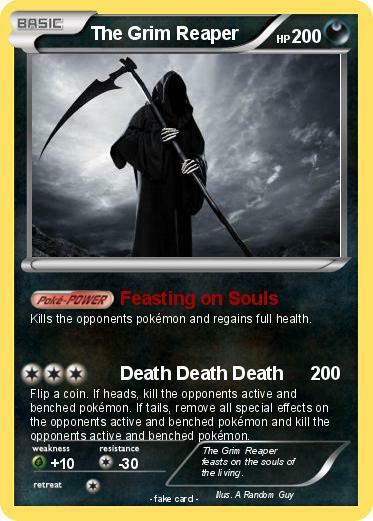 Kills the opponents pokémon and regains full health. Flip a coin. If heads, kill the opponents active and benched pokémon. If tails, remove all special effects on the opponents active and benched pokémon and kill the opponents active and benched pokémon. Comments : The Grim Reaper feasts on the souls of the living.